We are proud to boast about our range of executive chauffeur driven Cars for your journey to any UK destination. 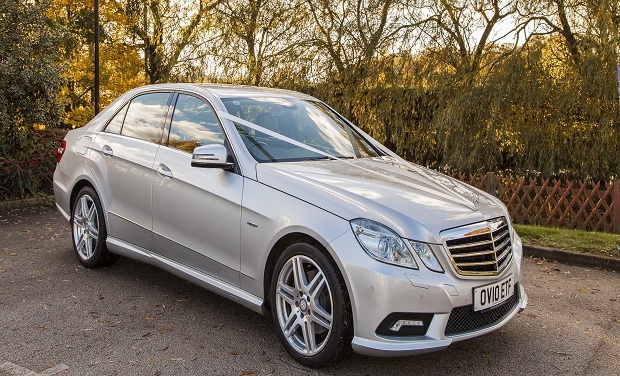 The Mercedes E Class range are an impressive 4 Passenger plus chauffeur executive car. These truly luxurious vehicles are perfect for all occasions. 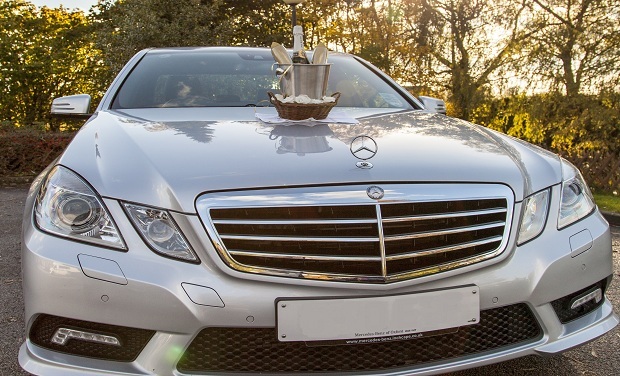 Whether it be for School Prom Hire, Birthday Hire, Hen Night Hire, Airport transfers, a Day at the Races or for your wedding, these cars are truly the statement for all occasions. For a wedding these executive chauffeur driven cars in the Northwest are a compliment to the special day. They can be used along side the Chrysler 300 Stretched limousines for 8 passengers we have in our fleet or on their own as the main bridal vehicle. Dressed in ribbons and bows of any colour choice these chauffeur cars look stunning on any wedding from registry office weddings, Church weddings or a hotel wedding reception, various wedding packages are available to suit any requirements for wedding car hire. Chauffeur driven airport transfers and pickups for Manchester, Liverpool and all other UK airports. Our Company has intelligent flight monitoring, our smart helpful chauffeurs will ensure that waiting times are kept to a minimum, which makes this a surprisingly economical and efficient service. Let us take the driving away from you on your special occasion. Relax in the plush surroundings while our chauffeur takes you to your chosen location. Many options are available for these chauffeur driven cars from a 1 way journey or a return journey the same evening or on a different date. These cars are ideal for small parties of 4 people wishing to travel with a little sophistication. 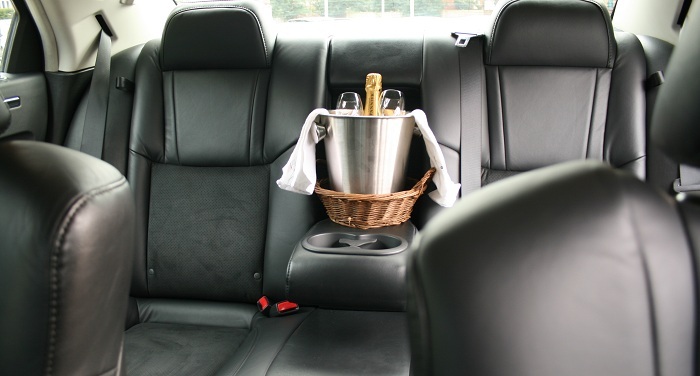 We allow alcoholic drinks to be consumed in our vehicles and we provide a champagne bucket and clean glassware for your journey.